Loved the story, the characters, the setting, the mood, and even enjoyed the hyper-detailed, slow but restful pace (characters put honey in their coffee and stir it, take off their aprons and hang them on a hook, wipe off the table and fold up the wash rag). The narrator is very good in many ways--expressive, in tune, unhurried. But she over-uses volume contrast to differentiate her characters. When two have a conversation, often one will BE EXTREMELY LOUD and hurt your ears, and the other one will speak so quietly you'll miss most of what they say. If you turn up the volume to hear it, be ready to turn it down again quick before Loud Guy talks again. In one scene, a military man in the street is shouting to greet some people on their porch--and she actually shouts! Yes I would listen to this narrator again, because at a comfortable volume she's great, but I'd go into it hoping she isn't using the loudness thing anymore. God has provided a way for all people, not just scholars, to know that the Bible is the word of God. John Piper has devoted his life to showing us that the glory of God is the object of the soul's happiness. Now, his burden in this book is to demonstrate that this same glory is the ground of the mind's certainty. 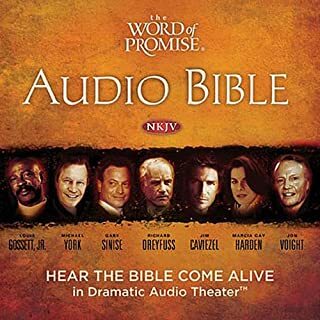 Maybe other listeners are enjoying this reading just fine, but to my ear, the narrator seems to have an edge to his voice, as if the text is his side of an argument that is starting to irritate him. 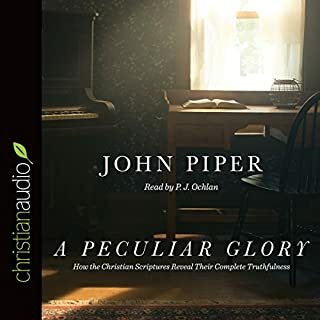 I don't sense any affinity for the content or for John Piper's voice. If the audiobook were the only way to read it, I would stick with it, but since an ebook is available I am going to switch to it. My husband loves to watch football, but for 35 years he's had to watch it by himself. I'd wonder, sometimes aloud, how anyone could be so fascinated by a game in which people mostly just shove each other and fall down. Every game looked the same to me. I had absolutely no intention of listening to a book on football. 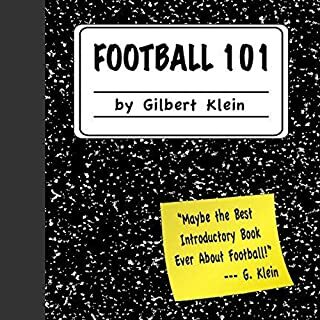 But I always check out Audible's Daily Deals, and on Super Bowl Sunday there was Gilbert Klein's "Football 101" for such a good price it inspired me---what if I listened to it, learned how to appreciate the game, and surprised my husband with my company at the "Big Game"? The book is only about two hours long; the writing and narration are lively, interesting and never condescending. I had to listen attentively and go over a few parts again. But by kick-off, I was prepared and very excited to be watching the Super Bowl with my husband. Of course I still had a few questions, but found myself actually cheering and groaning appropriately! The shoving and falling down were making sense! You might wonder how a book on football could work in audio form, without any diagrams or pictures. But actually, as I was listening I never felt the lack of them at all. Even though football was a mystery to me, certainly I did know what the field looks like and roughly how the two teams line up facing each other at the line of scrimmage. And even if I hadn't, everything relating to them was described very well. Reading this book won't make you an instant expert. Some things, as the author explains, will start to make sense only as you see them in action. But most of it is great for advance preparation. I particularly liked the chapter about strategy, and the one that explains each position and what particular skills the player needs to do it well. I was amazed at the knowledge, practice, conditioning, instincts, and quick thinking it takes to play football on a professional level. And I understand now why people watch football every season for their whole lives. "Football 101" definitely casts enough light on the game to enable you to enjoy it, and for the fine points you haven't grasped yet, you can, as the author advises, "let the announcer tell you." This is my go-to version for relaxed listening to the Bible. I keep six or seven favorite sections on my iPod and listen to them while driving, travelling, walking, knitting, relaxing before bedtime, etc. This version is wonderfullly, sensitively, creatively narrated, and its pleasant sound effects enhance the experience, never detract. The background music is a soothing delight. It's true that this Bible being divided into 17 long sections does not allow for easy access to specific books or chapters, if that's what you want for study or directed reading. But I have other versions to use for that (an old free one from iTunes) With this version, I just choose a section, let it pick up wherever I left off, and enjoy the lovely presentation of God's word. I'm glad that the translation chosen was New King James--the translation is very important to me, and I wouldn't have bought just any one. When I read that this version was "dramatized," I was worried that it would be too dramatized for my taste, but it hasn't been at all. I have not listened to the whole thing yet--only Psalms, Proverbs, and the New Testament so far. Only one criticism, and that is regarding, in a few places, the interpretation of Jim Caviezel as Jesus. It is very good and appropriate to represent Jesus as feeling emotion, even strong emotion. But sometimes I hear despair in his voice--and that I object to. Jesus was never in despair--He knew everything was working out exactly as it should at all times. But other than that, I appreciate how human this actor makes him sound, because of course it's of such importance that he was human. 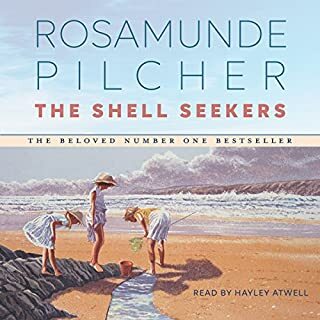 Based on what I have heard of this audiobook so far, I gladly recommend it.